We know people are different and should be treated appropriately - individuals and interactions over processes and tools, as the fathers of the agile manifesto stated. They didn't mention it was really hard, especially in environments with lots of processes and tools. We also know all models are wrong; but some are useful! The talk will show a few ways how to simplify this complex endeavour. We'll cover the traffic situation in South East Asia, discuss the relevance of Aristotle and Plato, find out why some prefer 'Star Wars' and others '2001', investigate molluscs and clams, and finally play a game of poker. The meetup will take place on May 7th (first Tuesday of the month) at 19:00, and will be hosted by the awesome people of doo in Bonn (directions). And if you're still not convinced - you can also win books! Sign up for the event at Xing! Feel free to join the discussion at the group mailing list. All in all I think we were around 17 people at the last meetup. 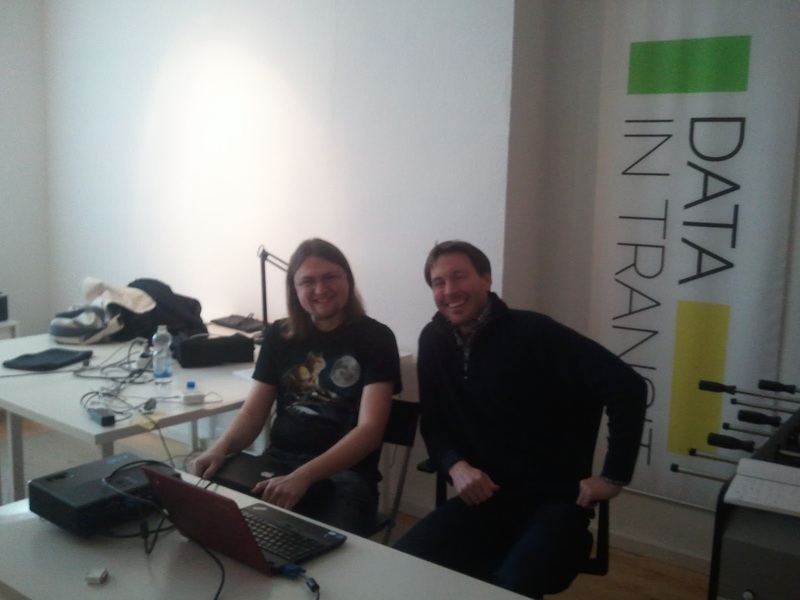 Thanks all for coming, and big thanks to Data in Transit for hosting once again! The Spock tests are located in here. After the January meetup in a week, we'll be looking for a new time of the month to meet regularly. I've asked at Nerdhub.de, who are the closest thing to an authority on these things, and they say Tuesday is generally the day with the most free spots around the area. Please check all options where you *can* participate. Thanks! This time we'll get together to talk about one of the most recurring topics in agile circles: testing! Daniel and Thomas have been switching a lot of unit tests from standard JUnit to the feature rich testing tool called Spock. This meetup they'll share some of their experiences. Currently Spock can only test Java and Groovy code, but the talk should be interesting to anyone familiar with any xUnit testing tool, as many Spock features have and probably will be ported to other languages/test-frameworks. 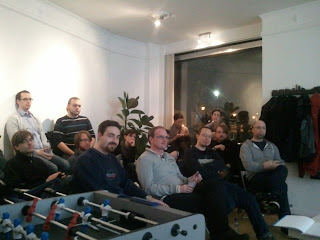 This is just a post to journal the last meetup we had in 2012. This was another bar meetup, with some fruitful discussions on how we acquire knowledge. I think we were six people in the end.